It’s about FREE stuff! 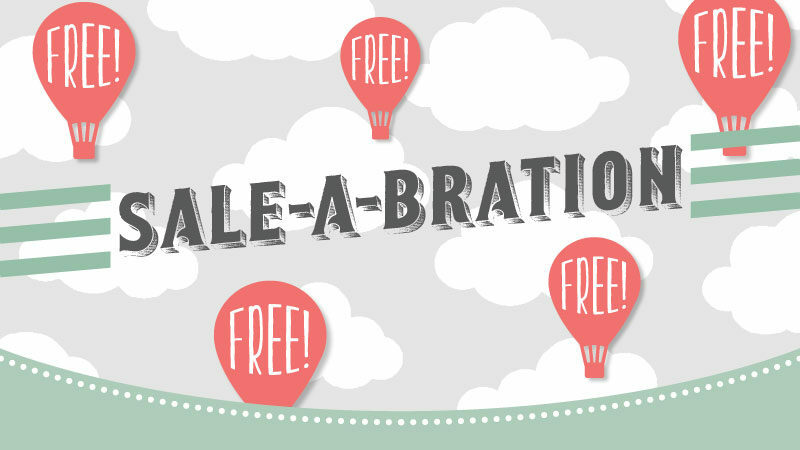 What is Sale-a-bration all about – I’ll say it again – FREE stuff for you! Just for shopping your favourite brand Stampin’ Up! There are 3 ways to grab a bargain during the Sale-a-bration sales period 4th January – 31st March 2017. 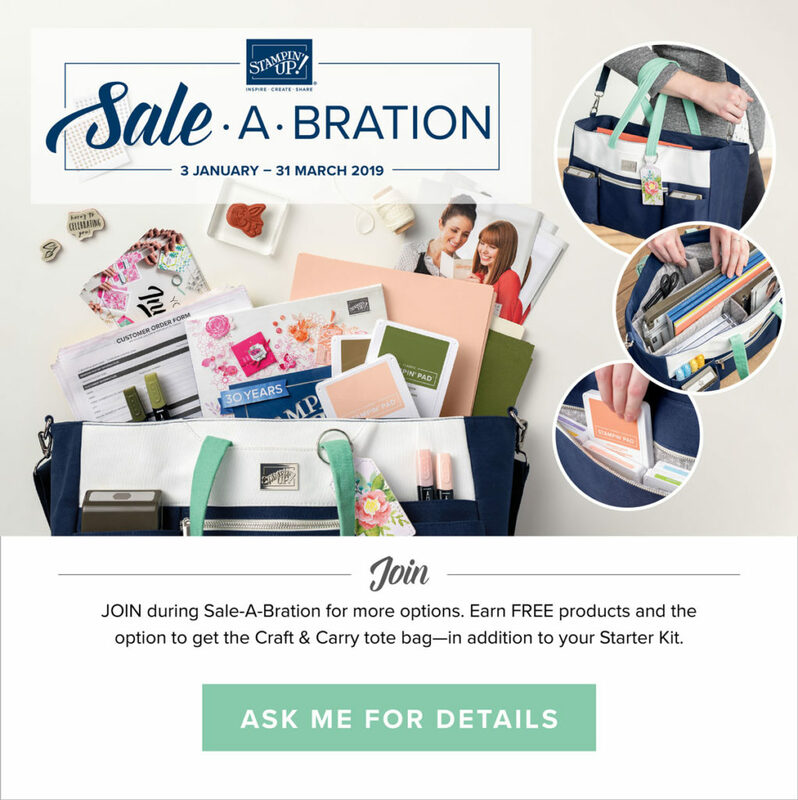 Spend £45 on anything you like in the Annual or new Spring / Summer catalogues and pick ANY Sale-a-bration item for FREE from the Sale-a-bration brochures (see images below). Shop now – click here. 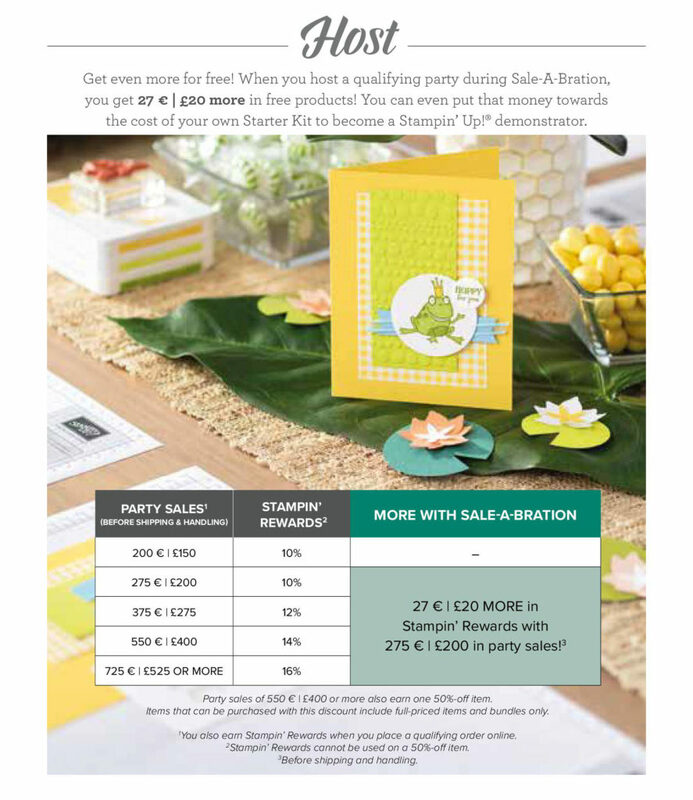 Host a party or girls night in and when your sales reach £200 you get an extra £20 FREE on top of your party sales 10% Stampin’ Rewards! Plus everyone can get a free item when their personal sales get to £45 – so it’s a win / win all round! Add on the amazing Craft & Carry Tote Bag for just £26!! That’s £125 for the Tote Bag AND £170 worth of products! Join The Royal Stampers & Stampin’ Up! – Best Offer Ever! The joining offer holds no obligation to be me, run classes or anything else. Be a happy shopper with 20% discount off all your favourite products, with the opportunity to earn commission when you share the catalogue with friends & family! 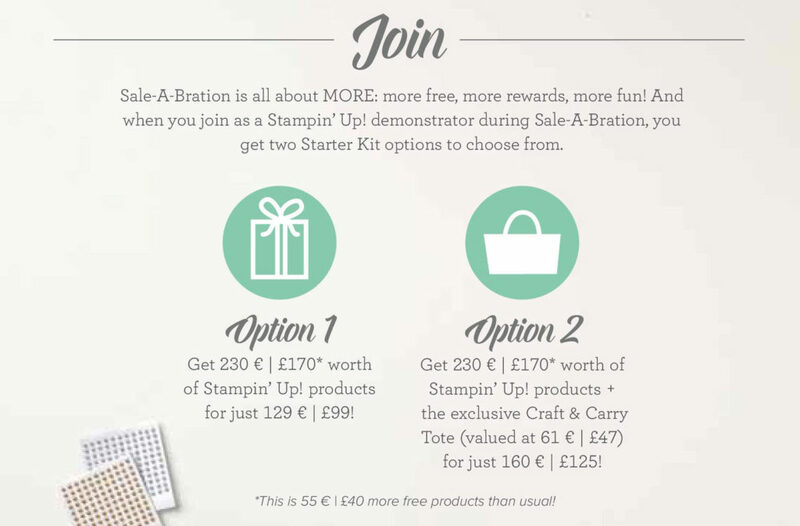 Come and be a part of my amazing family of crafters The Royal Stampers! Click here to JOIN Stampin’ Up! now! 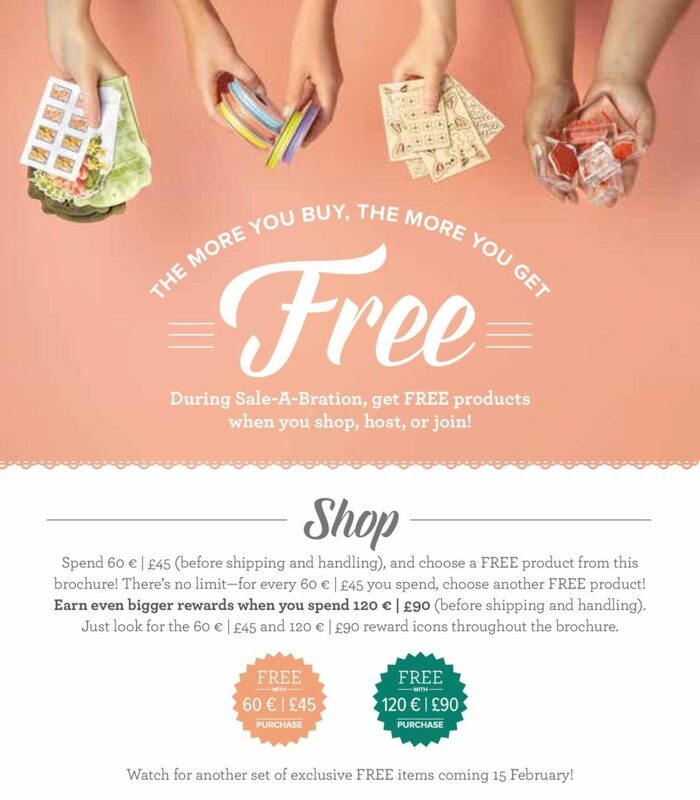 Just click on either of these brochures to see all the FREE items you can choose. You get one Level 1 gift for every £45 you spend, or 1 Level 2 gift for every £90 you spend. So what are you waiting for? Enjoy your Sale-a-bration offers today – but don’t forget, they are on a while stocks last basis & they’ll be gone before you know it! Live close by and want to host a party? Live far away but want to gather your friends for a catalogue party? Contact me at pip@queenpipcards.com and book your party today!